Change in the business environment can be disruptive at best and destructive at worst. It can be driven internally (for example, introducing a new computer system) or it can come from external sources (for example, a change in consumer behaviour). Either way, it needs to be managed – you need to consider the change from all angles: How will you approach it? How will it affect people, technology, processes etc? And how do you want your business to emerge? 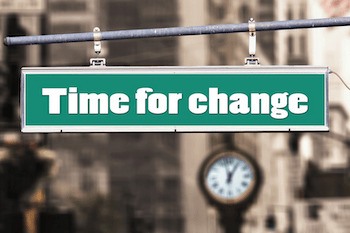 Change management isn’t just for big businesses. Sure, big businesses have more resources at their disposal but it can also make them slower to react. Therefore, for small businesses, change can bring great opportunity. There are two types of change in business to consider: planned and unplanned. Your response to these will be proactive and reactive respectively. In both cases, a well thought out change management plan will help you steer your business through the choppy waters and out the other side stronger than ever. The difference between change management plans for planned and unplanned changes lies in the detail. By its nature, planned change is easier to prepare for whereas unplanned change can catch you unaware. Therefore, a reactive change plan may simply be checklist of things to consider. Where possible, your change management plan should encompass all aspects related to the change. That is, the 5 Ws and 2 Hs: what, why, when, where and who, how and how much. Addressing the 5 Ws and 2 Hs is a way to guide your thinking and structure your plan. Being methodical and working though each one will result in a comprehensive plan and a smooth transition. However, long-term success will rely on your attention throughout the change process to the three essential elements of effective change management: people, process and technology. People – Change can do strange things to people. In general, people don’t respond well when change is forced upon them. Instead, bring them with you, engage them in the process and involve them in decision making. This applies to both employees and customers. Communication is key. Give people the information they need, when they need it. When people understand change, they are more willing to embrace it. Process – For any organisational change, you’ll need the right processes to support it. This is often where things can fall over. Think about the flow-on effects – even tiny changes can have big repercussions further down the line or in other parts of the business. And remember, if you are not hands-on in all aspects of your business, you may not even be aware of potential flow on effects. Talk to the people on the ground, they may even know more about parts of your business than you do. Technology – Technology is the last piece of the puzzle. You’ll need the right technology to support the change. Whether it’s new technology, or changes or enhancements to existing technology, think about it as an enabler, not a solution. Once the change is in place and things are ticking along nicely from where you’re sitting, don’t forget that you probably started this journey first and are therefore more likely to finish first. There may be stragglers and if you shift your focus too soon, you’ll leave them behind. It can also take processes a bit longer catch up, so keep your focus for a least a one full business cycle. Change has the ability to make or break even the best business. A change management plan for a small business doesn’t need to be an onerous task. Just take some time to think “what if?” and jot some down notes. Even a little bit of planning can start you on the right track when change comes.